Attention Deficit Hyperactivity Disorder is a brain disorder that is often found in children, however can also be diagnosed in adults. It’s believed that even if the adult wasn’t diagnosed with the disorder until later in life that they likely had signs and symptoms of his throughout adolescence. Other adults were diagnosed as young children, and once they surpassed teenage years, they crossed over into where their condition is considered adult ADHD. About 4% to 5% of adults have ADHD, but few get treated for it. If you notice that you are having problems focusing on work, concentrating, or are experiencing forgetfulness, it might be easy to chalk it up to “being an adult”, but it could be an underlying issue with Adult ADHD. Luckily, there are a number of types of ADHD medication for adults that have proven to be effective in treating the symptoms. Once you get a diagnosis of ADHD, you might be overwhelmed or confused by all of the information being thrown your way. This is completely normal, but we hope to address some of the question you might have. Rest assured that you’re not alone. Is there a cure for ADHD? It’s important to note that there is no cure for ADHD – by taking ADHD medication or ADHD supplements, you’re treating the symptoms. However, many people are successful in managing their ADHD symptoms and leading successful lives. What are the treatment options for ADHD? The most common treatment is by using ADHD medicine for adults. However, those that show the most success are those who combine both medication and behavioral therapy. As said, medication treats the symptoms of ADHD. It can help you focus more, be more attentive, and sharpen your memory. However, therapy can help you to create new habits and combat the bothersome behavioral symptoms at their source. Medication for Adult ADHD isn’t enough – you will benefit most with a combination of medication and therapy. What types of ADHD medication for adults are available? There are a number of ADHD medications for adults available. Some examples of ADHD meds for adults are: Ritalin, Concerta, Adderall, Focaline, Vynase, and Quivillent. These are all stimulants. The only non-stimulant drug that has been approved by the FDA for treatment of ADHD is Strattera. What is the difference between stimulant and non-stimulant medications for ADHD? The key difference between stimulants and non-stimulants is in which neurotransmitter it affects. Stimulants promote the production of dopamine, the neurotransmitter that is associated with movement, attention, and reward . It directly affects motivation and pleasure. Non-stimulants help produce Norepinephrine, which is associated with increased oxygen delivery to the brain. The result is clearer thinking and sharper mental focus. What is the different between fast-acting and slow acting medication for ADHD? “Fast-acting” medications reach their peak of effectiveness within just a few hours. Because of this, you would likely take the medication 2-3 times a day. This proves troublesome to those who have memory problems. To allow for less-frequent dosing, sometimes doctors will prescribe a slow-acting form of the medication. The ingredients of the medications are exactly the same. The difference is the speed at which it is released into the body and in what intervals. Stimulants in particular come with a risk of dependence. This is because they affect dopamine – which is the “feel good” chemical in the brain. Most addictive drugs do increase the production of dopamine in the pleasure center of the brain. Those who have a family history of addiction or have experienced dependence in the past should consult with their doctor before going on a stimulant drug for ADHD. Are ADHD meds for adults different than those for children? The same medication that is used for ADHD in children is often found to be effective in adults. This is because the cause of ADHD in adults is the same as it is in children: the lack of specific neurotransmitters in the brain. The only thing that differs are the doses that are prescribed, and this relies solely on the needs of the patient. Are there side effects to ADHD medication? 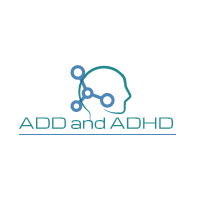 While ADHD medication has been proven to be effective in reducing attention span issues and impulsiveness, there are a number of side effects that are related to taking the medication. • Loss of appetite: While you adjust to your medication, you may experience loss of appetite. It’s important, however that you maintain as healthy a diet as possible, ad a healthy diet helps to promote healthy brain function. • Stomach Upset / Nausea: This is most common in the first few days or weeks of getting the medication into your system as your body adjusts. • Insomnia: Many people report not being able to sleep specifically when taking stimulants. If you are on a slow-acting stimulant, which stays with the body longer and doesn’t require you to take it more than once during the day, your doctor may switch you to fast acting. This will then allow you to control the amount of the stimulant in your system a bit better. • Increased Heart Rate: Because this is a side effect of stimulants, a doctor may avoid prescribing it if the patient has a history of cardiovascular issues or a family issue of heart-disease or high blood pressure. • Severe Side Effects: If at any point during your medication treatment you experience shortness of breath, difficulty breathing, prolonged vomiting, hearing or seeing things that aren’t there, or experience thoughts of suicide, these are severe side effects and you should cease use and contact your doctor or medical professional immediately. Are there ADHD supplements that are natural that I can take? Some people decide that they don’t wish to take prescription medication for ADHD. Sometimes its because of the side effects, and other times they feel that the mediation truly isn’t helping their condition. Some people claim that taking natural supplements have worked in treating their ADHD. Melatonin: Melatonin is a neurotransmitter in the brain and can help with relaxation and sleep. It has been reported by those who take it to help with irritability and lack of focus. Zinc: A number of adults and children with ADHD have also been found to have lower levels of Zinc in the body. Those who have taken Zinc supplements have said that their symptoms have improved. Fish Oil (Omega3): Some people have reported enhanced mental sharpness and concentration when they take Fish Oil. In fact, the FDA has approved a prescription strength of Fish Oil that can be prescribed for people that have ADHD. When Fish Oil was combined with Primrose Oil, a study showed that there was not only an increase of concentration, but a decrease of hyperactivity that is associated with ADHD. If you’re on any kind of medication for ADHD, make sure you check with your doctor before making the decision to take a supplement. Some medications have the tendency to react in combination with other supplements and you could have severe side effects. How will my doctor determine which medication is right for me? Unfortunately, there isn’t a one-pill treatment for ADHD. While stimulants are the most prescribed medication for ADHD in adults, a doctor may decide not to prescribe it if the person has had a history of addiction or dependence. If the patient has heart disease or a family history of heart disease, the doctor may also avoid prescribing a stimulant. What other treatments are out there instead of ADHD medicine for adults? As we previously noted, therapy, specifically cognitive behavioral therapy has shown to be effective in treating ADHD in adults. One of the most difficult things to do for those with ADHD is to remain focused and organized in life. Bills can forget to be paid, important deadlines are missed, and life may seem to be unraveling without your control. You can probably agree that yes, ADHD medication for adults can help you to focus more, but it won’t be able to completely change your life – only you can do that. If you see a therapist for ADHD, your doctor will likely recommend you to a Cognitive Behavioral Specialist who specializes in “rewiring” learned habits and thoughts. Cognitive behavioral therapy, or CBT as its usually referred to, helps you to change the way you think in order to change your behavior, and as a result, change your life. For example, your therapist may suggest that you have a life coach for accountability or even a very descriptive daily planner in which you can create more structure in your life. Some people have found great benefit from therapy alone; however a combination of ADHD meds for adults plus therapy is the most successful treatment. While ADHD can be a very difficult disorder to live with, you do have several treatments options available to you. Realize that sometimes you may have to try more than one medication or supplement in order to find results. Everyone is different, and what may work for one person may not work for you. Having the patience to “hang in there” can only yield the best results once you find what works for you.